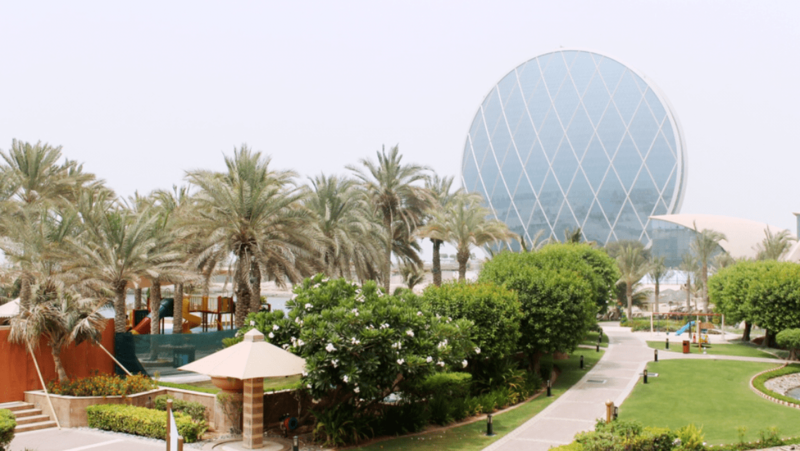 The stunning Emirati mural under the bridge as you turn into the resort is so realistic, and was a refreshing sight. 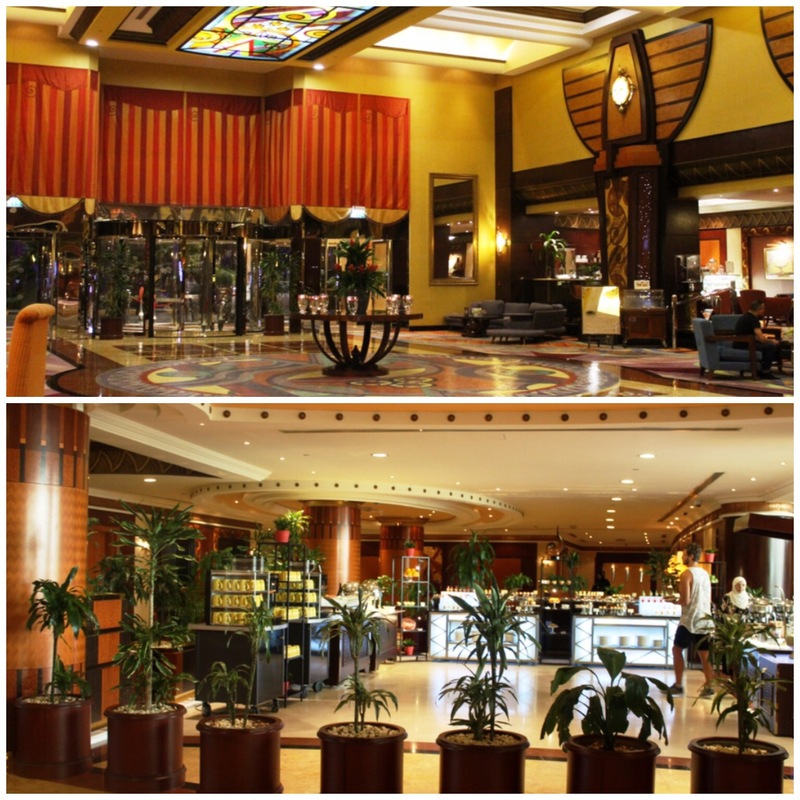 We arrived after a two hour journey and were welcomed in as I gasped at the grand scale of the hotel lobby. 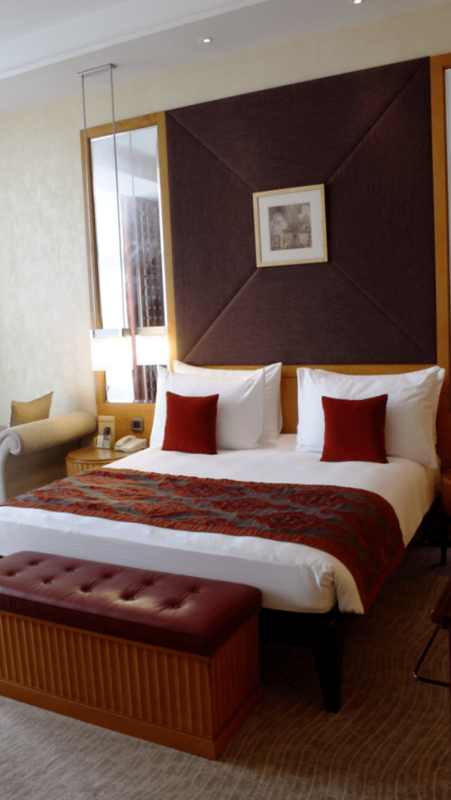 We were then escorted through to our room, which was located on the second floor of the newer section of the hotel, constructed only three years ago. The central space was open so that you could see the floors above as well as below you, making the hotel seem even larger and airier, as seen in the above photograph. The room reflected the corridors, in that it was spacious and full of light. There were two favourite parts of the room. The first being the balcony, that came with a stunning beach side view and picture perfect palm trees. 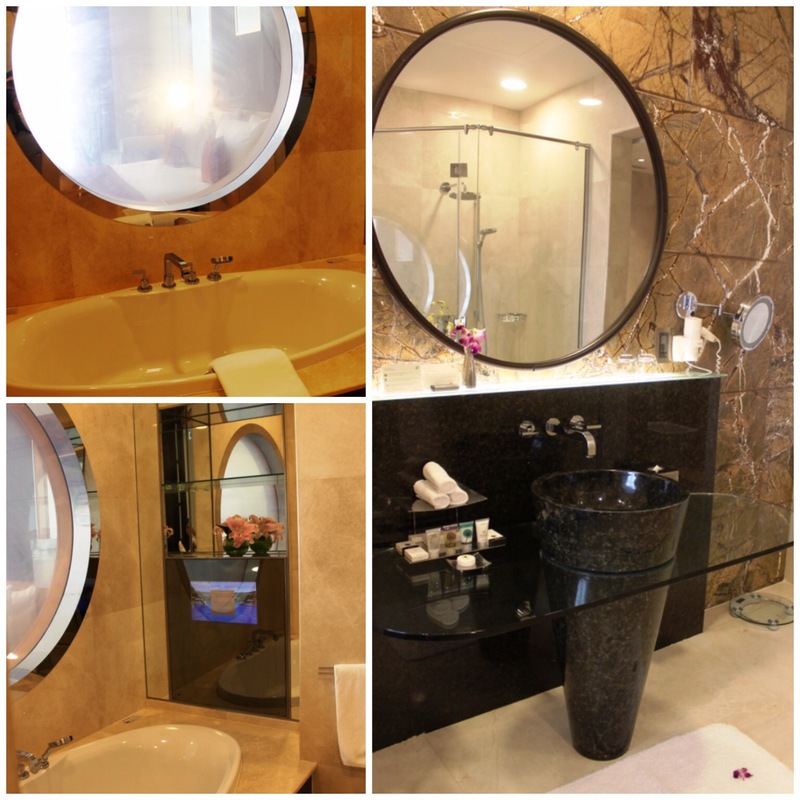 The second was the ginormous bathroom, along with a TV accompanying the bath tub, which Baby Z made full use of! I also loved the circular window separating the bathroom to the rest of the room, for which the visibility could be switched on or off with a switch, depending on whenever you required more privacy. A travel cot was also provided for Baby Z. After the photos, we all did the obligatory “jump on the bed test”, which I am pleased to report that the bed passed with flying colours, and with a sigh of content, we were ready for the staycation. 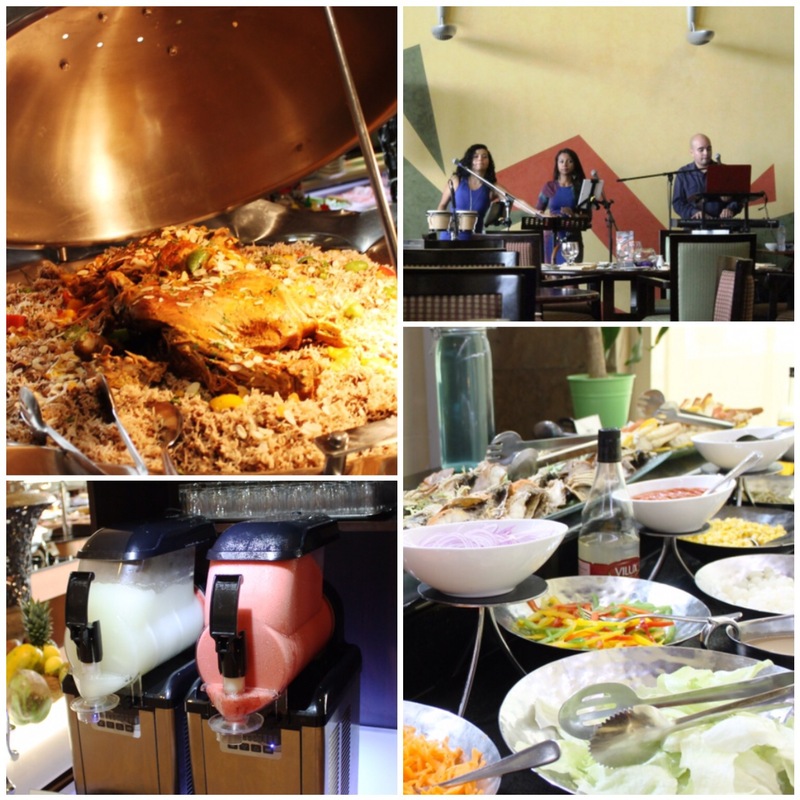 After unpacking our things and freshening up, we headed down to Sevilla Restaurant for lunch, located on the ground floor in the main lobby of the hotel. 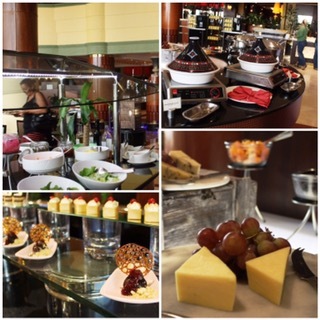 There was a wide selection of cuisines, all of which I tasted were delicious, especially the desserts that were given the special eye for detail. The views that came with it were just as good, though it was too hot to enjoy a meal out in the balcony. So hot that my glasses and camera lens kept fogging up as soon as I stepped out! Baby Z’s favourite part was the small play area just outside the restaurant seating area, where a special Kids Buffet was set up. It took plenty of convincing to get him off the rocking horses, but when we eventually did, he particularly enjoyed the shrimps for lunch. After a quick nap for Baby Z (thus goes parenting life!) 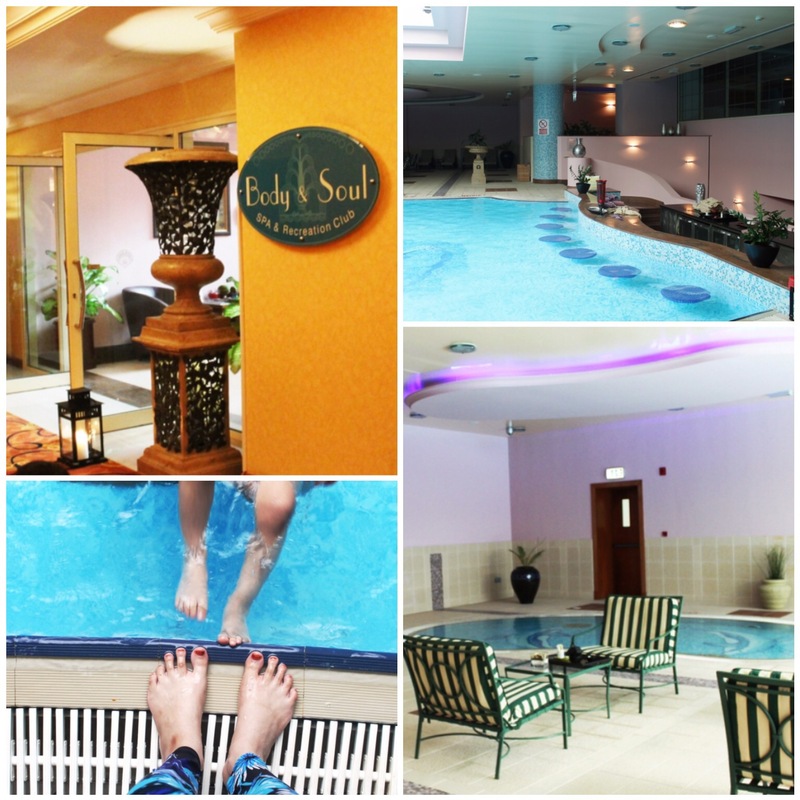 back in the room, we headed up to the third floor, where the indoor Spa and Recreation Club was located. 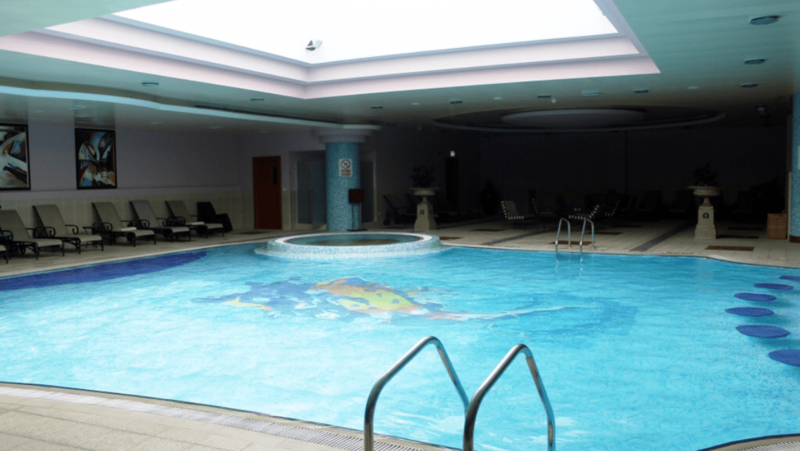 With sizzling temperatures of 40 degrees Celsius and the height of summer’s day, it was not a great idea to venture outside for the entire afternoon, even with all the SPF in the world, so I was so thankful to hear that the resort had an Indoor Pool. Though it was a smaller scale compared to the vast outdoor swimming area, it was plenty big enough for Baby Z and he had a blast. To be honest, so did we! Who wouldn’t love stepping in to water that is temperature controlled, without having the sun beat down on you? There was even a Jacuzzi right next to main swimming pool, which my husband spent most of his time in, and I had to wrestle him out of! I loved watching Baby Z splashing in the pool, and he was not at all scared to dive in, arms out and at full speed! I was more cautious than he was, but it was great watching him enjoy himself so much. The area was very family friendly, as there were many other parents teaching their toddlers to swim too. After all that splashing in the pool, we were ravenous! 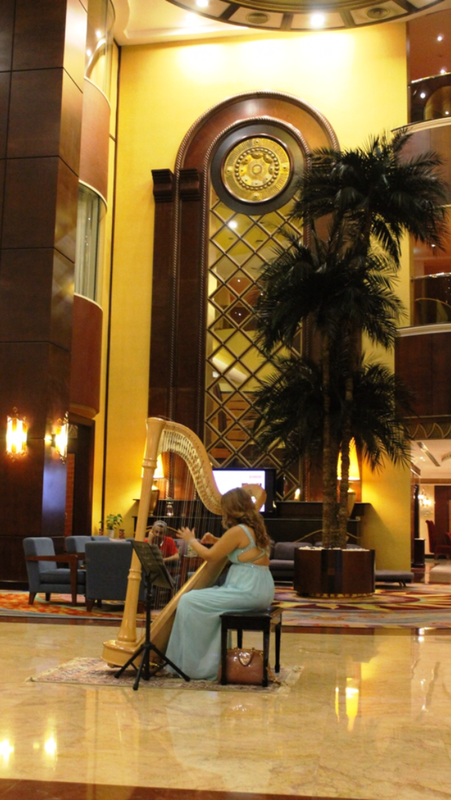 We walked back in to the main lobby to the beautifully calming sound of a harp, as a lady played it melodiously in the vast reception and we sat down to enjoy the ambiance. Baby Z was quite captivated too! 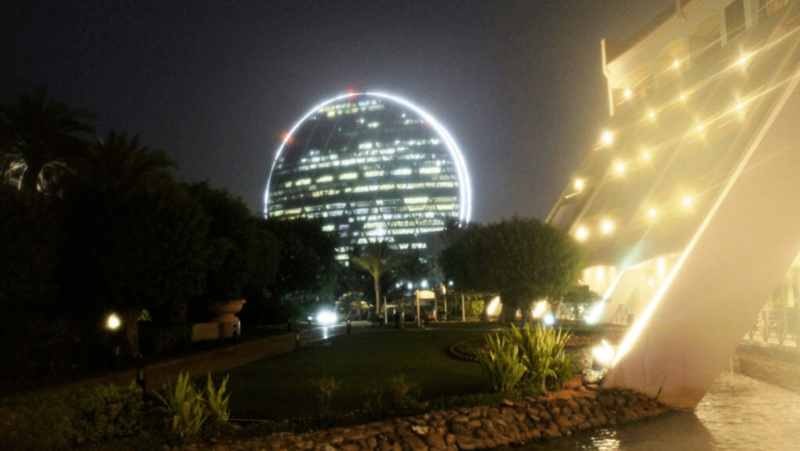 Walking out on to the basement floor, under the light of Al Dar Headquarters and past a beautiful walking bridge, we enjoyed dinner at Azur Restaurant. The food was beautifully presented, but the highlight was the mains that my husband went for. 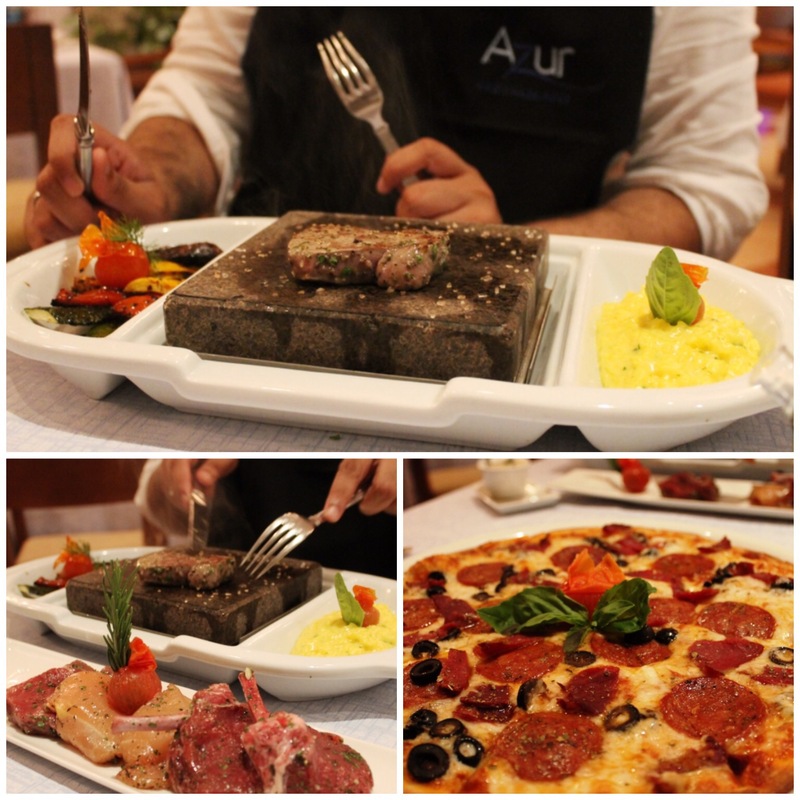 The famous “Hot Stone”, a concept which makes you the chef for the meal, as you are brought out raw meat and a hot stone heated to 440 degrees Celsius to cook your meal on. Don’t worry, Mr Z was given plenty of instruction and encouragement as well as an apron to protect his clothes with. I must say, it was indeed delicious and such a lovely experience. After a great night’s sleep in the comfy huge bed, we awoke for Breakfast back at Sevilla Restaurant. Once again, there was a huge spread including everything from cereal, to croissants and baked beans, not forgetting the sautéed mushrooms, which are always my first pick. I did not want to leave without having checked out the outdoor recreational area, so after breakfast we headed out to the outdoor pool area and beach side. It was beautiful and vast. I can imagine it being very popular during the winter months, and even saw a few people enjoying themselves during this time of day! Baby Z enjoyed exploring the Kid’s Play Area, especially the big slides, and I made sure he got to dip his feet in the beach water, which was clear and sparkling in the day light. After a while as the heat began to take its toll, we were ready to go back in to the AC and headed back to our room to pack our things and get ready to leave. Baby Z had one last bath, whilst watching Baby TV on the waterproof TV screen installed by the bath tub. I have never seen him so quiet whilst having a bath, and this meant we were able to finish packing without having our things thrown back out of the suitcase for once! Hooray! 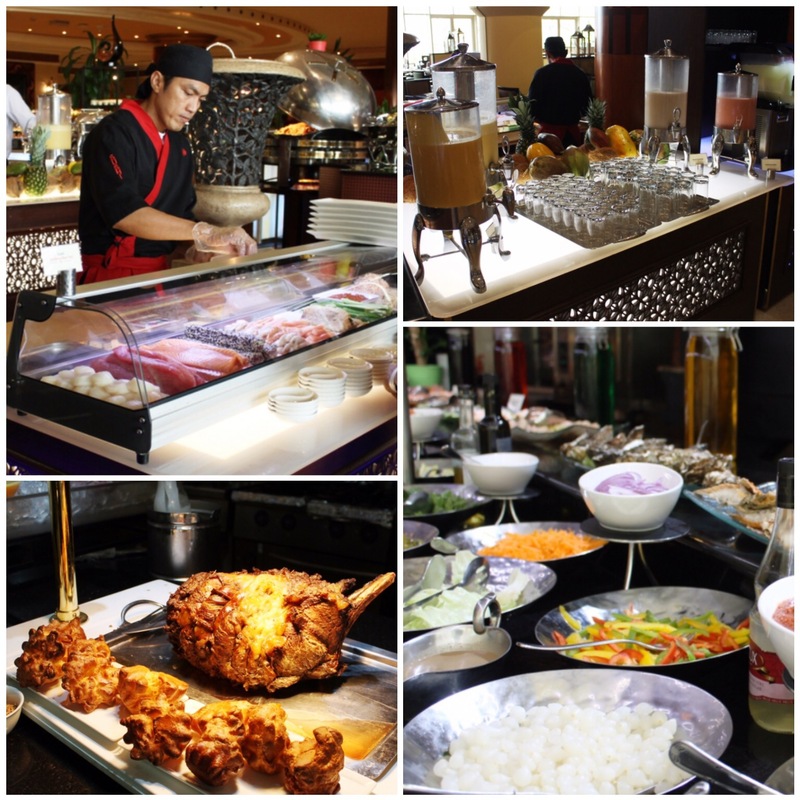 We ended our staycation with the most spectacular spread for lunch back again at Sevilla Restaurant, which was themed “Slush Delights and Healthy Smoothies”. I don’t think I have ever quite seen an impressive spread like this, and this is coming from someone who has been lucky enough to have had quite a few spectacular dining experiences in Dubai for the last three years. There was so much food, that I was quite full just looking at it. (You’ll have seen my exasperated face if you follow me on Snapchat! [Username: zenisanj]) There was a live sushi station (my idea of heaven! 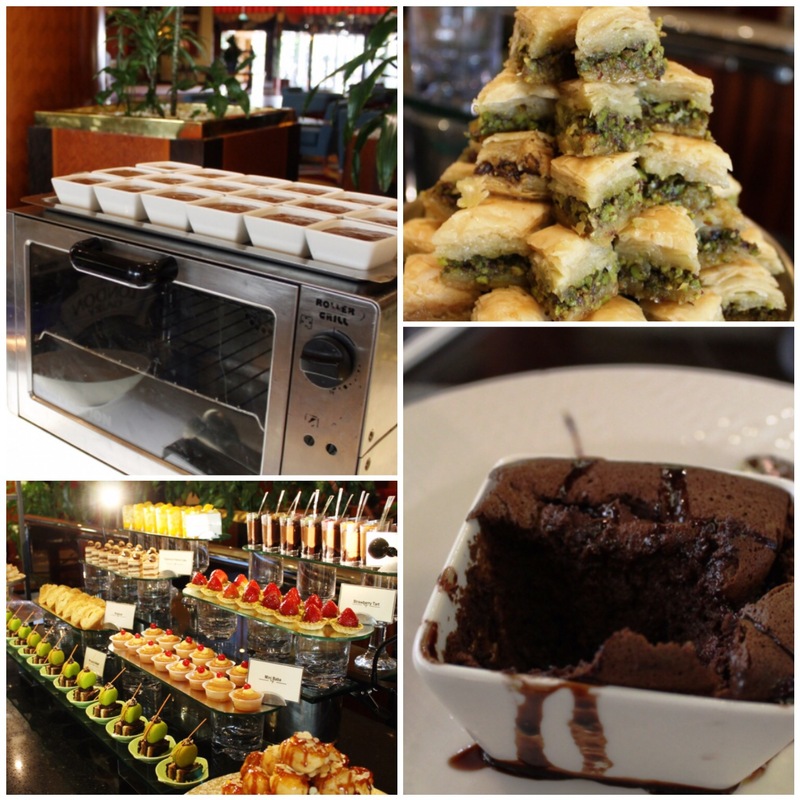 ), beef rack the size of my head, sea food of all kinds and freshly cooked Chocolate Souffle upon your request. What more could you ask for? 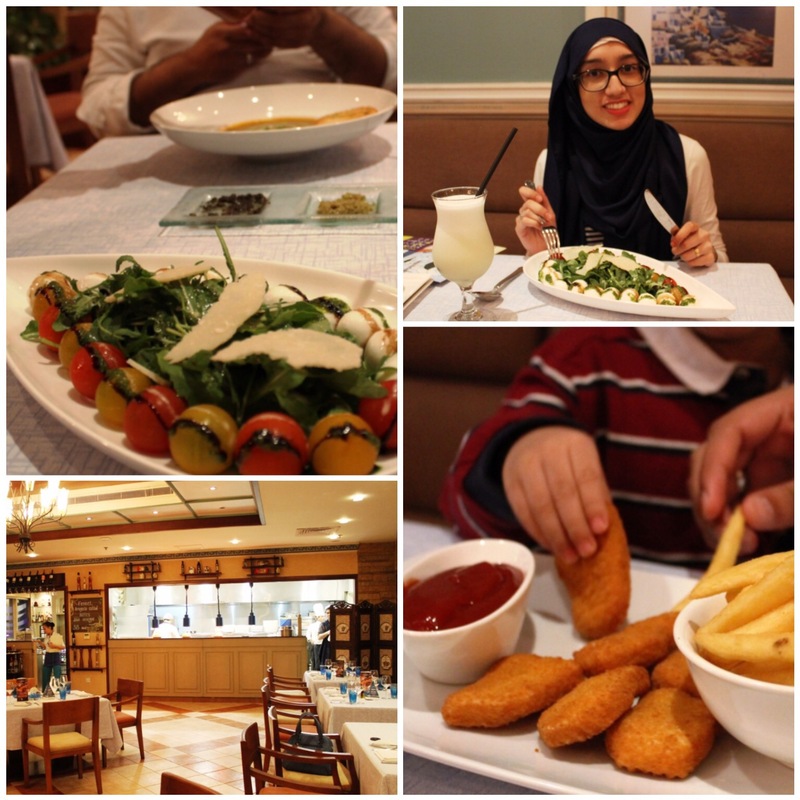 With filled stomachs and a good night’s sleep, we checked out and headed back to Dubai, going back with memories that we will cherish greatly and plenty of photographs to prove it. 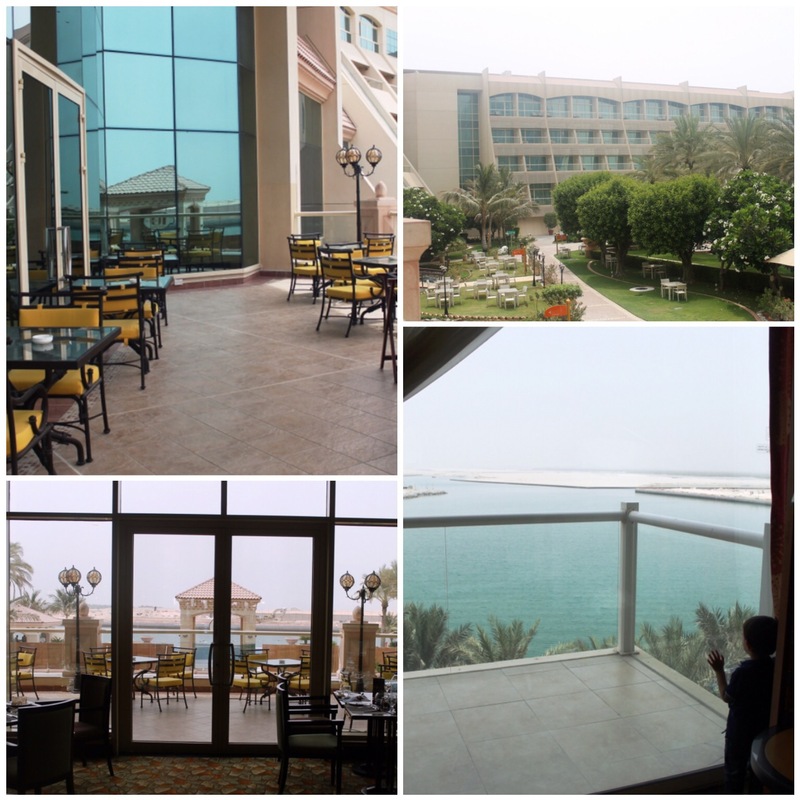 Overall, we had the most wonderful stay at Al Raha Beach Hotel. I wish we could have stayed for a night or two longer so that we could explore more of what the resort had to offer, for example the water activities and squash courts! The resort is packed with things to do, and caters for all kinds of activities and moods, whether it be indoor or outdoor, making it the perfect stop even in the heat of summer. 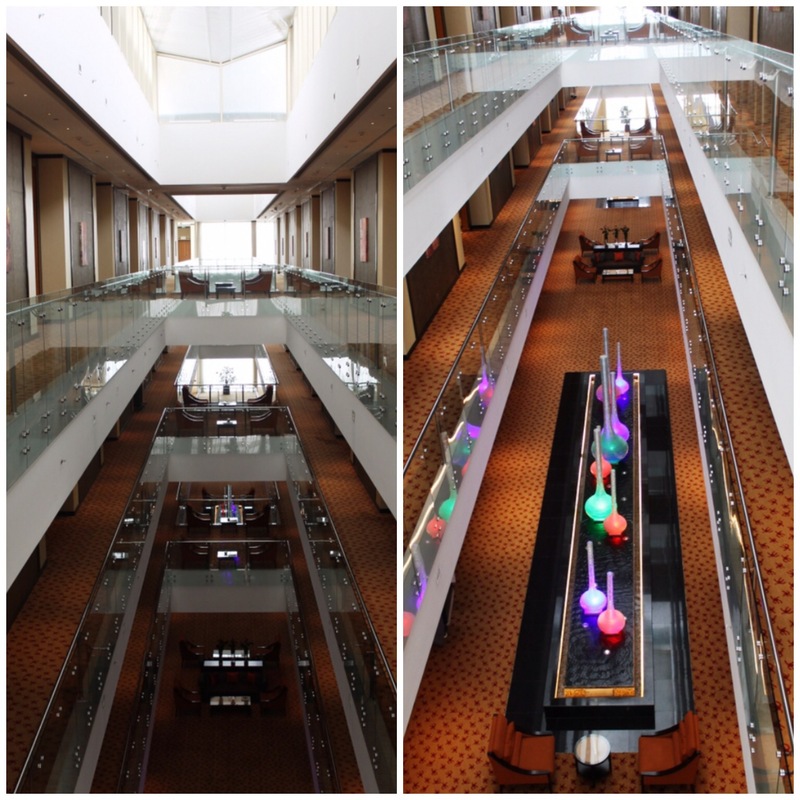 There is also the Raha Mall right next to the resort, which even though we did not visit during our stay, it’s great for those looking to pick up a few things. The one thing that really stood out, apart from the extravagant meals and stunning views, was the hospitality of all the staff. 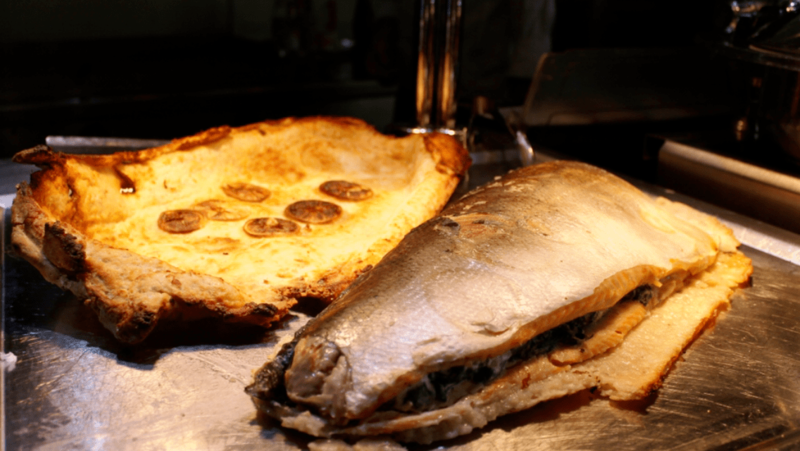 Their kindness was not only limited to a restaurant or area in particular, but I found that absolutely every member of staff i spoke to, whatever level they were working at, were very hospitable and full of smiles. Even passing them by on the way to the lobby, we would get about five “Hello”s and “Have a good day”s. It made the entire experience all the better for it, and from my experience, I would definitely recommend it as your next staycation destination. You can stay up to date with all that Al Raha Beach Hotel has to offer by following them on Instagram, Twitter and Facebook. Note: We were guests at Al Raha Beach Hotel, however all views and opinions expressed above are honest and solely my own. 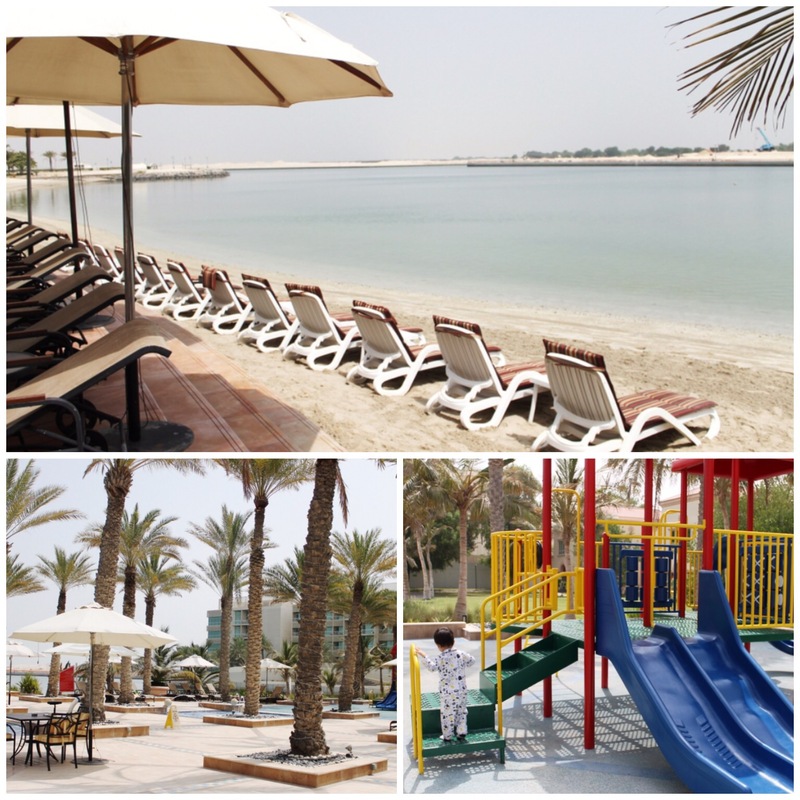 Have you been to Al Raha Beach Hotel? What were your thoughts? Please feel free to share your experiences in the comments section below! I’ve heard a lot about this place. 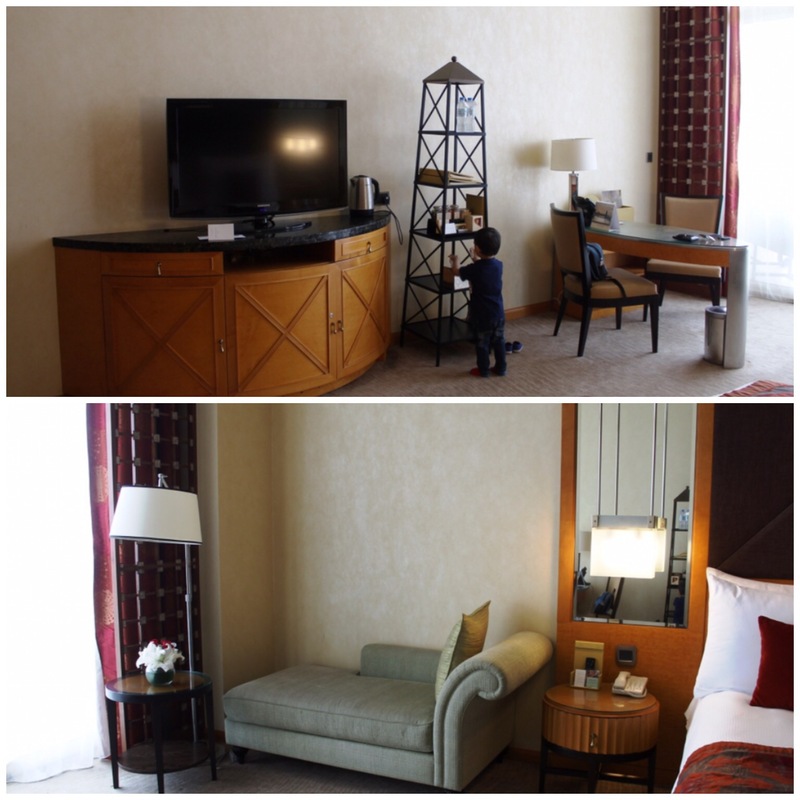 Hope we plan a staycation some time! Yes, please do! We absolutely loved our time there!